Tech Support Self Help - How can I submit an off-campus event? 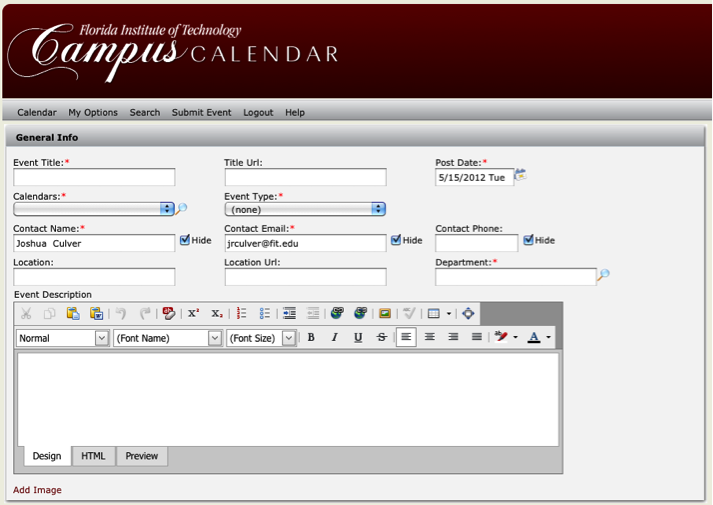 Click the "Submit Event" on the Campus Calendar homepage or on the Calendar View page. Select "Off-Campus" on the Submit Event page and clcik Submit. Login using your TRACKS username and password to access the event submission page. Indicate when the event should be published on the calendar. Select the calendars you would like to promote your event on (Note: All require approval by a Calendar Manager before the event is published on a particular calendar). To select multiple calendars click the "Lookup" Icon and check all the calendars that apply. 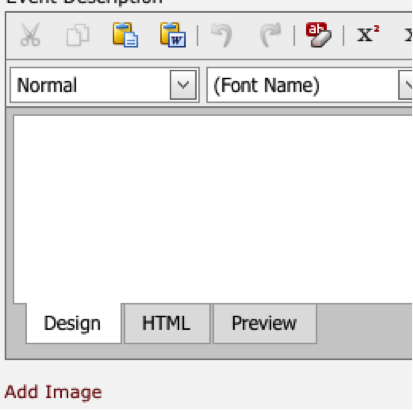 Select and event type that best describes the event. Enter the location for the event. Choose your department by clicking the "Lookup" icon and click apply. Add an event description. (Note: The description should be detailed and should inform users about the event). If you have an image that supports your event, clcik the "Add Image" link and upload an image. This image will show in the Event Details screen for users. Enter the event time information. Add attachement (ie. Brochures, fliers, etc.) by clicking the "Attachments" Tab and uploading the documents. Click Preview to review your event and then click Submit. For any questions, please contact Tech Support at techsupport@fit.edu or (321)674-7284. Any questions on sharing, filtering, and managing an event, please refer to the FAQ's in the Master Calendar category.